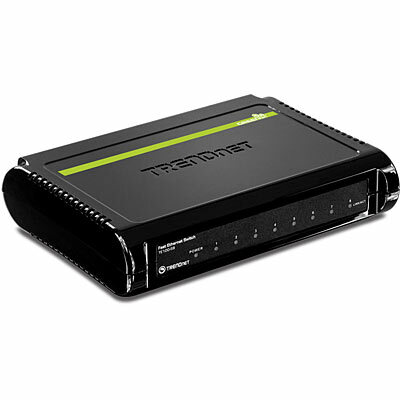 The compact 8-Port 10/100 Mbps GREENnet Switch, model TE100-S8, offers plug and play switching reliability and reduced power consumption. Embedded GREENnet technology reduced power consumption by up to 40% out of the box, with no management requirement. This switch offers speeds of up to 200 Mbps per port and total switching capacity of 1.6 Gbps.